Instagram is more than just the posts on your timeline, so if you want to keep up with your followers' Instagram usage you should also be present in their Instagram Stories feed. However, just like posts, Instagram Stories also requires you to be strategic, both in terms of contents and posting strategies. Here are some of the ways how! Be aware of the many features of Instagram! Add a location and hashtags to your stories, this way users who aren't your followers can find you too. In fact, users follow certain hashtags that will appear on their stories feed, this is where you want to end up. However, keep in mind that tags may disturb the visual presentation of your Instagram story, so be careful not to overuse them. You should not worry too much about showing the business side of your account. In fact, it is encouraged for you to balance promotional contents of your business with fun or casual contents for the users to enjoy viewing or for introducing your company's culture through videos of fun office events or the like. For those of you with over 10 thousand followers, you shall never forget to link when necessary! The Instagram Stories allows you to take followers from your story to your site with a simple upward swiping. So, whether it's a blogpost or a link to your webstore, don't forget to add link to your story! The Instagram Stories came with a mute feature, where you can stop an account from showing their stories on your page as simple as by holding the avatar and clicking the "mute" button. For businesses, this means that you should be careful with your contents as followers can very easily remove your stories. One of the most basic mistakes many businesses do is to post too many promotional stories all at once. This surely annoys followers and leaves you at risk of getting muted! The ideal amount of Instagram Stories you should be posting really depends on the context and type of contents you're making. For some business accounts, posting ten times a day can work really well, because they have many creative and interactive contents followers aren't tired of. However, if planning that many contents is something you find troublesome, you should opt for fewer stories. If you want your followers to immediately engage with your stories, it's suggested to post when your followers are active. According to one research, the safest time to post is at noon until 5 PM, but you should also be aware when your followers in specific are active. However, keep in mind that the point of Instagram stories is simply to provide fresh content at the time that your followers open their phones. So even if you post late at night, your content can still seem new in the morning as they open Instagram. You should also remember how easy it is for other accounts to repost your Instagram Stories. This means you should benefit from having your story reposted by another account, be it by an influencer, other business, clients, or other users. Therefore, what better way to get their attention than by mentioning them in your story! The Instagram Stories are blessed with many additional features, including the polls and questions stickers. These interactive stickers can help you encourage followers to engage and see how much of your followers are actually engaging instead of merely viewing. 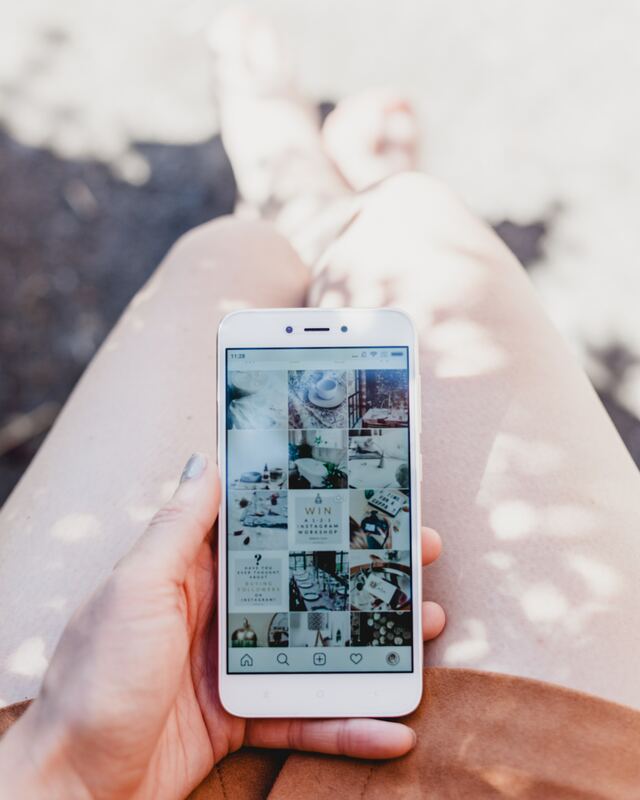 Remember, the more engagements you get, the more likely Instagram's algorithm put you first in your followers' feed! All in all, the use of Instagram for your business should always be made effective by considering how posts will appear to the followers. Businesses must be mindful of the contents, but don't forget to maximize engagements with these tools!